There is a lounge area, bar area (which was not used because the guests were 16), casual tables, a dining section and a large, beautiful dance floor equipped with a raised DJ stand. This venue is big enough to comfortably accommodate 150 people. The bathrooms have 3 stalls each and are very large and clean, it looks brand new. The dance floor has many different colored lights or just plain lights that can be adjusted. The speaker system is superb. There is a parking lot with ample space in the back of the building which is really important if you are having a party or event and there is parking along the side of the building too. Victor provided us with ample time to set up the party and was patient with us when we were cleaning up after the party and ran over our prearranged time. He allowed us to use their tables for the buffet and even took the trash out for us. The adults at the party kept complimenting how amazing Victor was during the 4 hour party. My daughter had the best birthday of her life and I can honestly say it would not have been possible without this venue. She and her friends had the best time and I was able to afford a party for her because of Victor's generosity and his awesome venue. 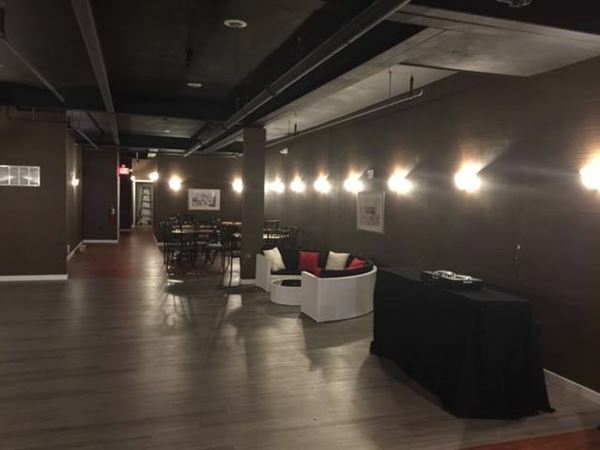 If you are looking for an upscale, classy, modern place to host a party or event, I promise you, 9th Mile Galleria is going to be your very best option.